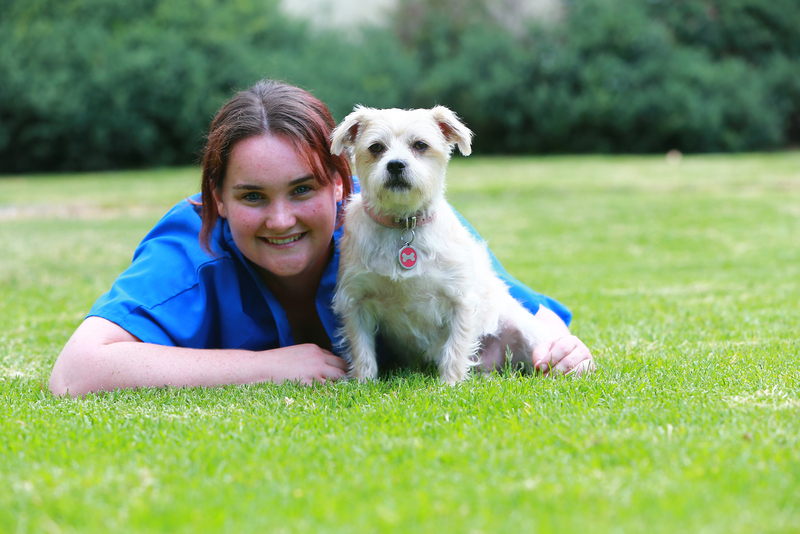 From retirees to vet nurses, full time professionals to students pet foster carers come from many different backgrounds. But, what they have in common is the drive and compassion to care for dogs and cats in need. For foster carer and Shelter Nursing Manager Allie, becoming a foster carer with The Lost Dogs’ Home gave her the opportunity to offer a home to dogs and cats needing time away from the shelter environment. “While at home with me, his personality really started to shine through – he really flourished in a home environment. “Seeing what a difference time with a foster carer can have on a dog convinced me to keep fostering animals through the Home,” said Allie. During her five years as a foster carer at the Home Allie has fostered more than 20 animals, each one needing to spend time in a home environment for a different reason. “I’ve taken on an amputee and a cat with a broken pelvis along with dogs needing recovery from surgery through to dogs needing to build their confidence away from the shelter. “One of the great things about being a foster carer is you can see what these animals are like in a home environment, which is completely different from a shelter environment. Allie explains that people shouldn’t use lifestyle factors as reasons to stop becoming a pet foster carer as animals needing foster care require time away from the shelter for many different reasons. “Today I have four dogs and a cat at home, so with such a dog friendly environment I do tend to only foster dogs, and the Home is really good and making sure my foster animals match my lifestyle. “If you are looking to become a foster carer talk to the foster care coordinator about what your life situation is like and get her advice on what foster animals work with your lifestyle. 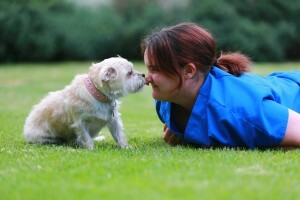 “I’ve had a wide variety of different animals come into my care, there’s no one fit. For Allie, foster caring is an incredibly rewarding experience for anyone looking to give back to animals in need. The Home is in need of new pet foster carers in 2016. To help, we’re calling on you to add becoming pet foster carer to the top of your New Year’s resolution list. Foster animals come to us with unknown histories and can be more vulnerable than other dogs, cats, kittens and puppies in our care. Like Esme, these animals need some extra TLC before they can go on to find their new family. Do you think you could open your heart and your home to care for companion animals needing a little extra care? With your help, we can make a difference to animals in need.